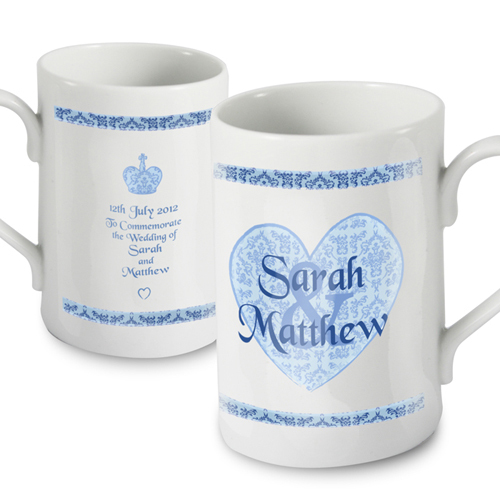 This Mr and Mrs Windsor fine china mug features a blue heart design with a damask pattern running around the top, bottom and handle of the mug. With crowns on the reverse and inside making this modern mug a must-have keepsake to celebrate and commemorate the happy occasion! Personalise with the Couples First Names, 11 charactors each (with a Capital First Letter) and Date. Personalise with the Couples First Names, 11 charactors each (with a Capital First Letter) and Date.